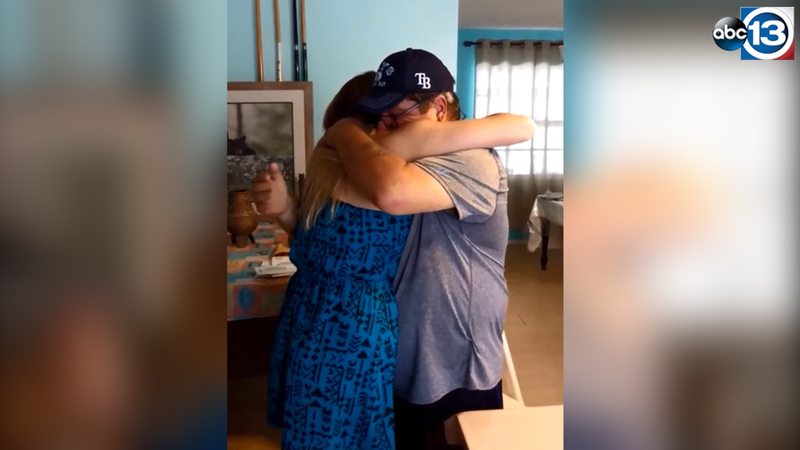 PORT RICHEY, FL -- A heartwarming gesture was shared by Gabriella Lynde when she surprised her stepfather on his birthday with adoption papers. This amazing act caused a touching reaction from him as he realized what exactly she had presented to him. Gabriella's mother recorded the whole thing in their Florida home. Full Video: Graphic language - may be unsuitable for some viewers.